Research|Action is working with the Housing Justice League on a report about affordable housing around the Beltline in Atlanta, to be released in September. Here’s a one page fact sheet. 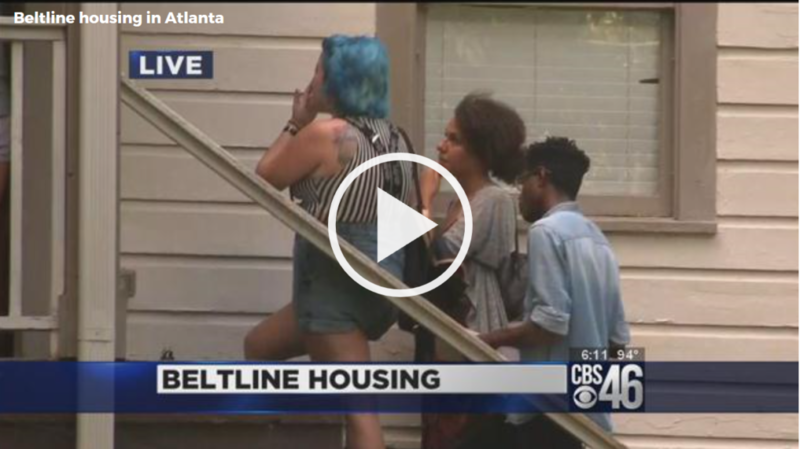 ATLANTA (CBS46) – Concern is rising over property values following Atlanta’s popular Beltline as it finishes construction in some of Atlanta’s poorest neighborhoods. CBS46 discovered half a dozen low-income housing workers organizing Wednesday to protect neighbors in southwest Atlanta. The startling popularity of the Beltline is about to arrive in Adair Park. It’s a trail that goes both ways for some who live in the area. Benefits are welcome, but rising property values are feared.